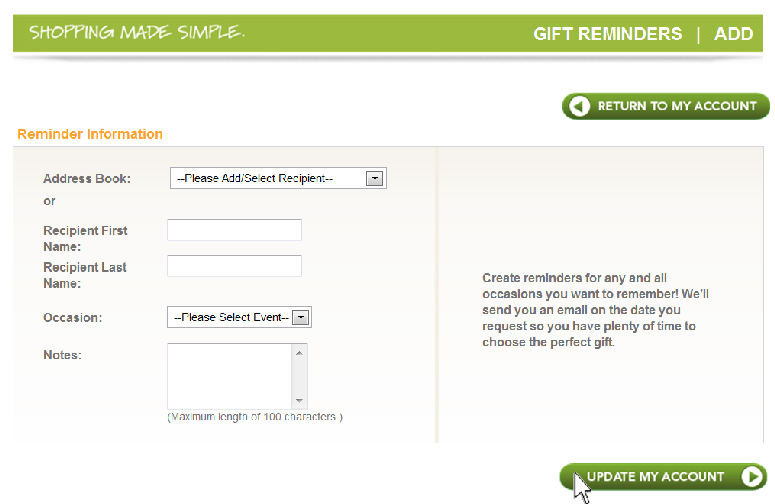 How to create an account with Hutcheon's Flower Co. and set up a reminder for your special occasion or tradition! 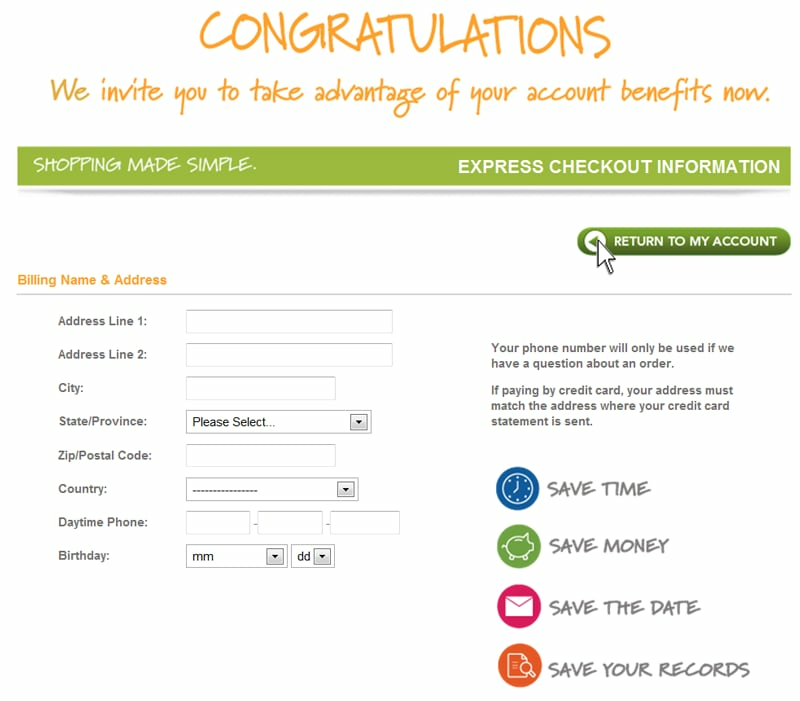 Click "My Account" in the top right of your screen. 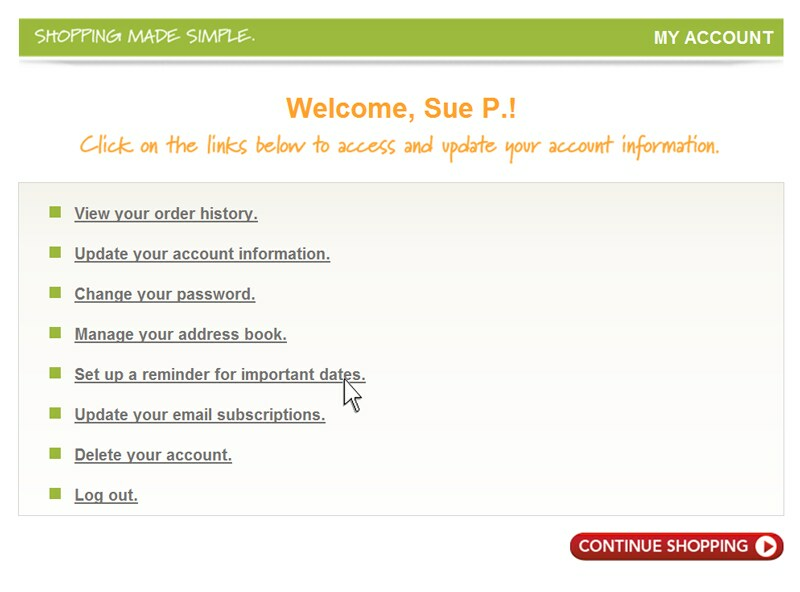 When the next screen comes up, click on "Create My Account". 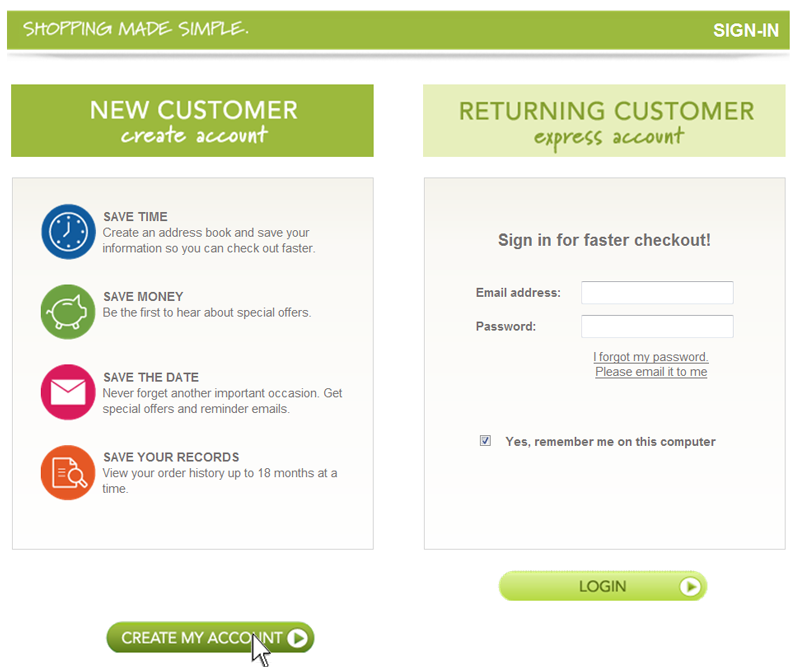 If you already have an account then log in and skip to Step #5. 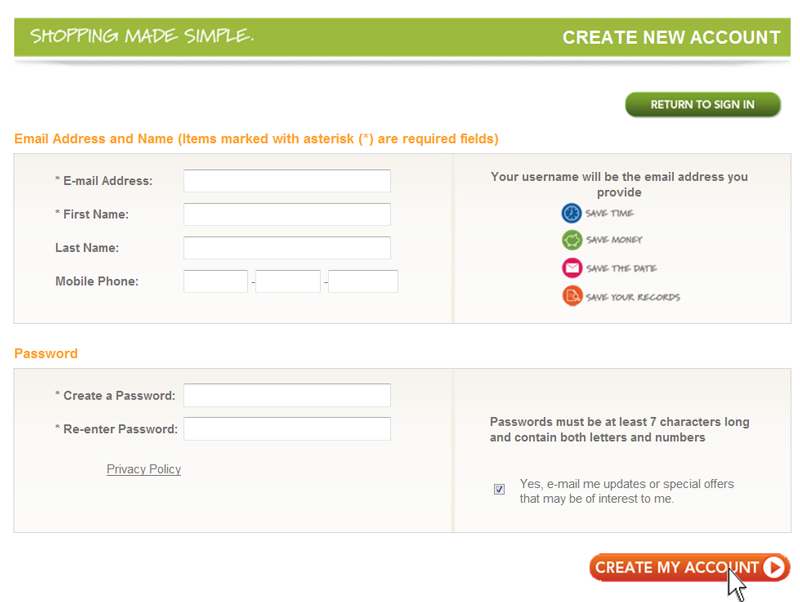 Fill out the following form with your contact information an click "Create My Account." Click "Return To My Account." Click "Set up a reminder for important dates." 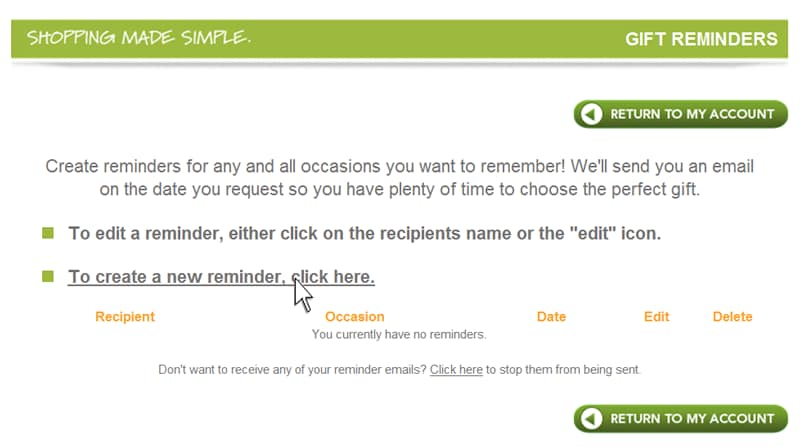 Click "To create a new reminder, click here." 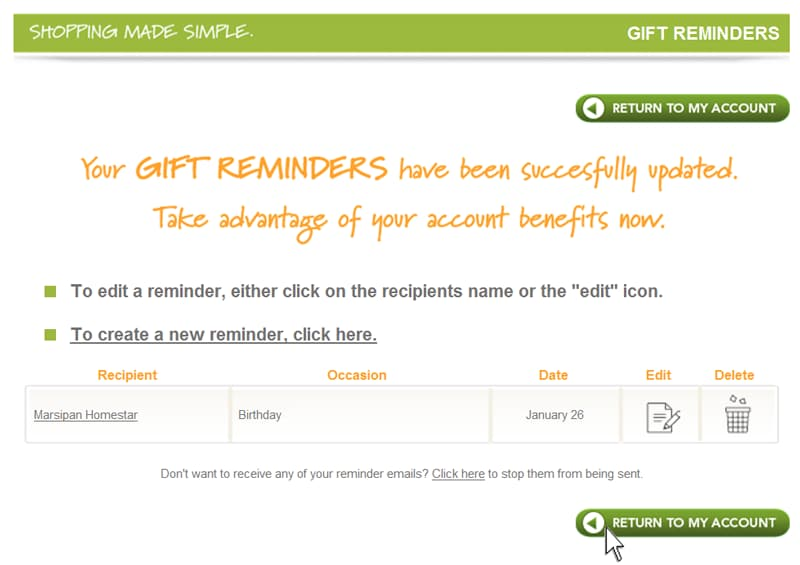 Fill out your specific reminder information on the form that comes up and click "Update My Account." 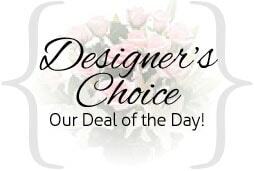 you can click on any occasion in the left-hand occasions list and start shopping!